Are you in the process of furnishing a living room, family room, basement or “man cave?” Are you looking for a beautiful home furnishing that can accommodate your television and other electronic equipment and accessories? 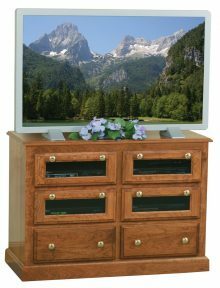 Our huge variety of solid wood Amish Flat Wall Entertainment Centers can meet your needs. We offer numerous Mission- and Shaker-style pieces designed to rest flush against your wall. Our entertainment centers also make any room so much more attractive and livable. How Do I Find the Right Wall Entertainment Center? How big is the room you are looking to furnish? 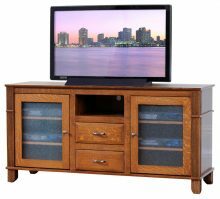 If you have a small room, you will want a smaller flat wall entertainment center, such as our Springhill TV Cabinet in Oak, which measures only 49 inches wide. It’s best to stay under 50 inches for pieces going in a smaller room. Are your walls light or dark? If your walls are dark, you’ll want to go with lighter wood options, such as our Shaker TV Stand in a dewy oak or Nouveau Plasma TV Stand in Oak in a blonde shade. What do you want to use the stand for? Many people, of course, want to use our entertainment centers to house TVs, DVD players and stereos. But we also have customers who use them to display books or knickknacks or just want extra storage space. In that case, you may prefer a cabinet with solid doors, such as the Mission LCD TV Stand w/Dental Molding or Manhattan TV Stand. How Do I Match My Décor to My New Entertainment Center? 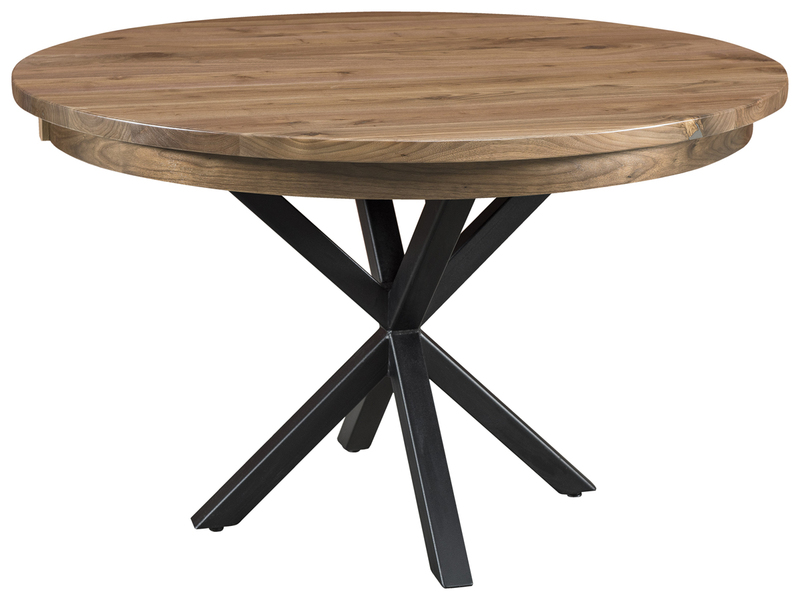 Get pieces that complement the wood grain. Nothing looks worse than a room with several different shades of wood grain. Look around your house for similar grains, and if you don’t find any, buy new pieces to match your entertainment center. Surround the new piece with color. The dark hue of the wood in our Amish-made entertainment centers contrasts beautifully with bright colors. Get vibrant vases to place on the edge of the center or fun-colored frames to hang nearby. Add a few books to the end of the entertainment center. Books are great for the mind, but they’re also outstanding pieces of décor. Pick up a few hardcovers at an antique store to stack at the end of your new Amish entertainment center, adding character to your décor. Can I Buy Furniture to Match My Solid Wood Amish Flat Wall Entertainment Center? You’ll also find the same high standards of quality we bring to our entertainment centers with these other pieces. As an AmishOutletStore.com customer, you never have to settle for “one-size-fits-all” furniture. We encourage you to take advantage of the handy online design tool found on every product page to create your ideal entertainment center. Have fun unleashing your “inner designer” as you experiment with various hardwood (options include oak, cherry, maple, hickory and many others) and wood stain combinations. Skilled Amish master crafters will then bring your vision to life by constructing an attractive, durable entertainment center that will give you many years of reliable service. 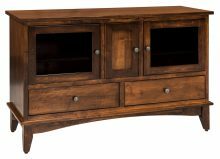 Order any Amish Flat Wall Entertainment Center right now and get up to 33% off the retail price. Other ways to hang on to more of your hard-earned money include taking advantage of our discounts for large orders and for paying for your furniture by check. 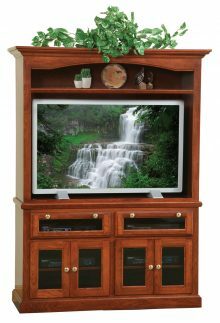 Take a few minutes to explore our solid wood Amish Flat Wall Entertainment Centers and feel free to get in touch with our friendly customer service representatives if you need further assistance.